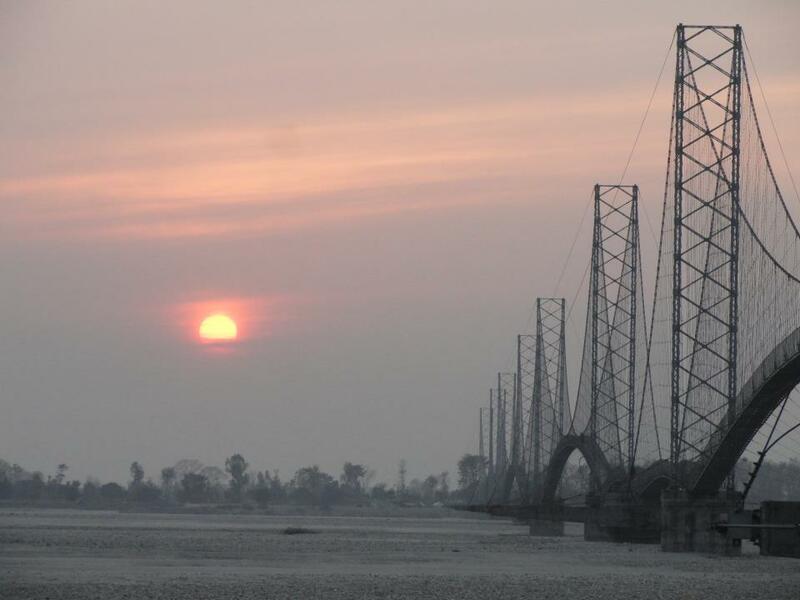 The Chandani Dodhara Bridge or Mahakali Bridge over the Mahakali River with a length about 1496 meters is the longest suspension bridge of Nepal. A Yeti Airlines plane (Twin Otter) at the airstrip of Talcha Airport in Mugu District. Talcha Airport is kind of the gateway to Rara Lake. The largest lake of Nepal, situated in a beautiful surrounding. This photo dates back from 2007 before the airstrip had been blacktopped.